White Sox Manager Ozzie Guillen shows off his stomach before the game against The Oakland Athletics. 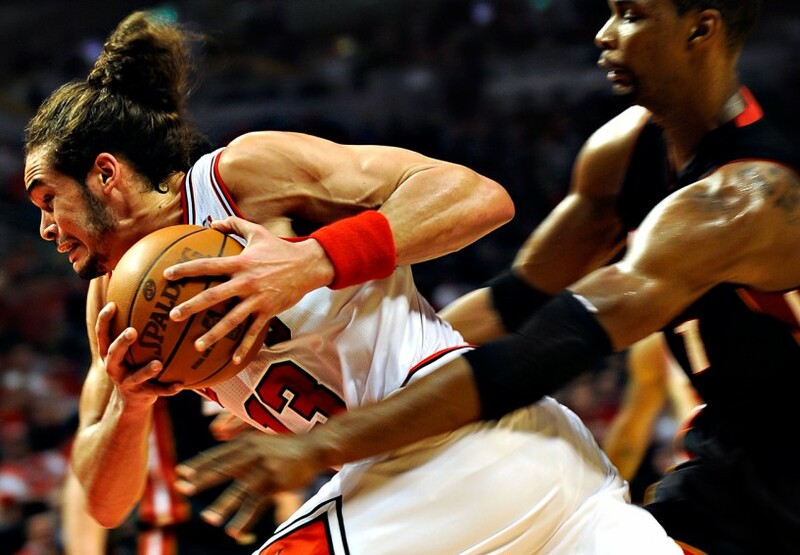 Joakim Noah during game 1 in the 2011 NBA playoff game against the Miami Heat. 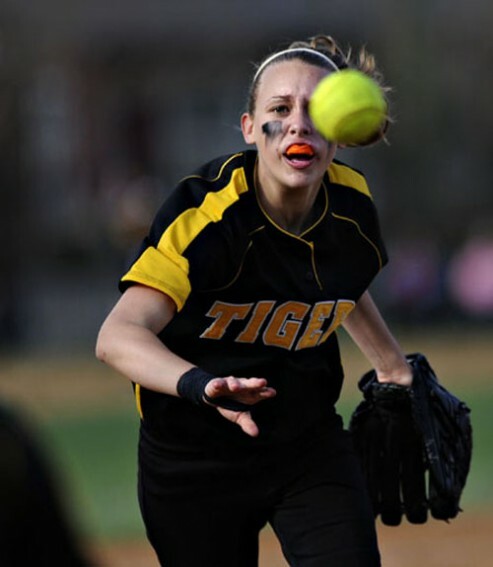 Elmwood Park High School's Katelyn Jakobsen throws the ball to first base during a game against Resurrection. 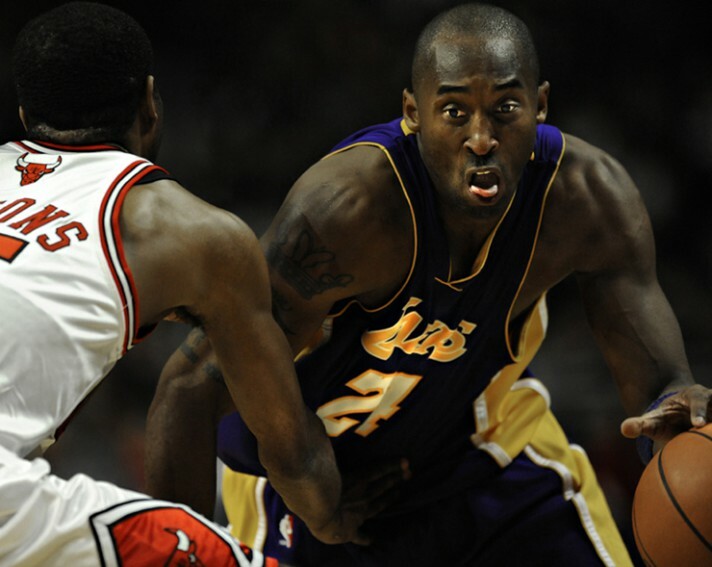 Los Angeles Lakers guard Kobe Bryant drives the ball against Chicago Bulls guard/forward John Salmons. 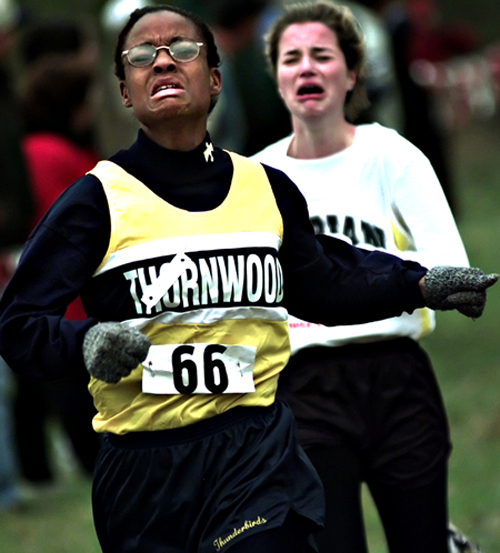 Thornwood High School's Crystal Sanders passes Lisa Lavezzi from Marian Cathloic just before the finish line during a Regional Cross Country Race. 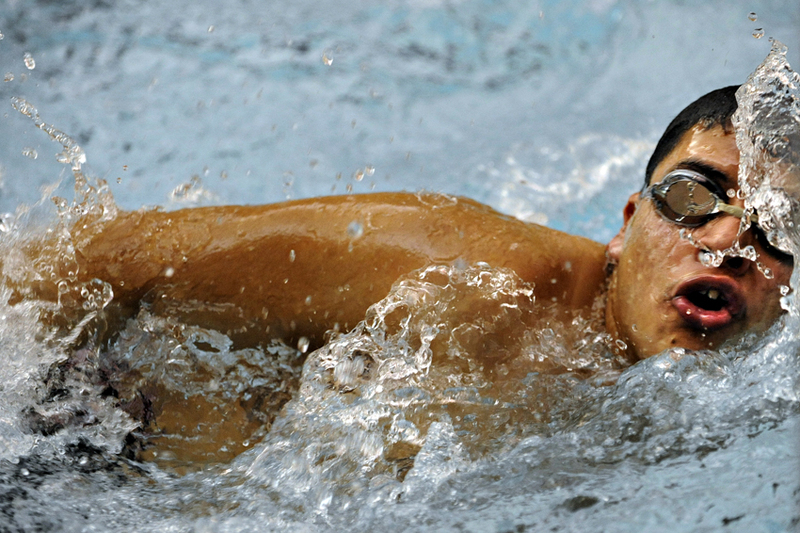 Proviso West High School's Giovanni Heanosilla Jr. races during the 800-meter relay at the Proviso West Swimming Invitational. 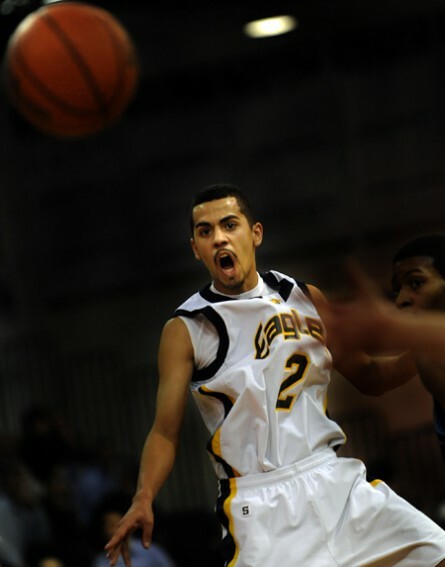 Leyden Township High School's Javier Lazcano screams after making a pass during a home game against Willowbrook High School. 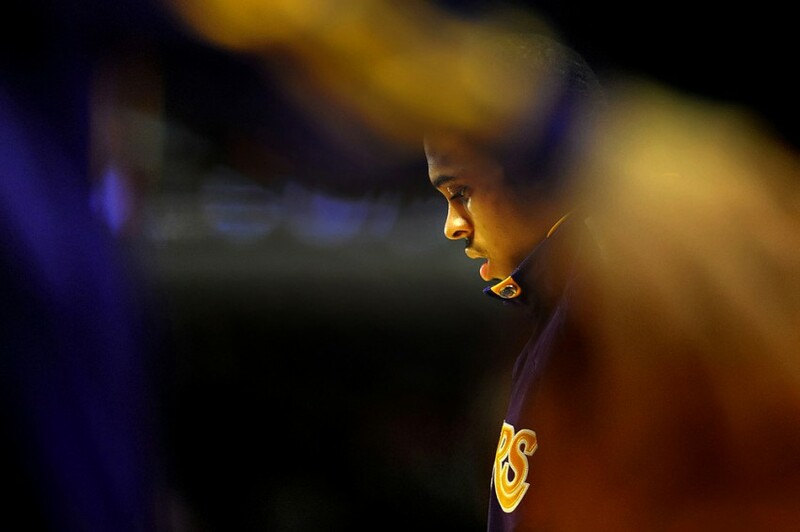 Proviso East High School's Denzel Rhodes gets ready to run in the 1,600-meter relay race in the rain. Evanston High School's Sean Kincaid tracks down a ball in the outfield during a home game against Mundelein. 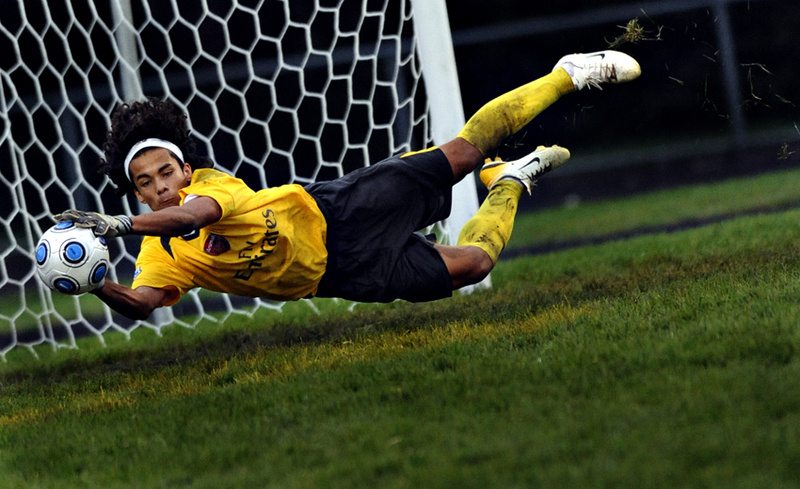 Leyden High School goalie Jose Lopez blocks a shot during a home game against Oak Park-River Forest High School.